David Cameron has this week “welcomed” the arrival of high-speed broadband in Chipping Norton – although not all of the town apparently has it yet. BT has stated that the technology has been rolled out to more than 2,600 premises in Chippy – which it mistakenly refers to as an “Oxfordshire village”. Engineers are still working locally, with the aim of more than 3,300 premises across town being able to use the fibre broadband within weeks. The investment in Chippy is part of a £2.5 billion fibre broadband roll-out programme, and BT has already delivered it to nearly 180,000 homes and businesses across our county. 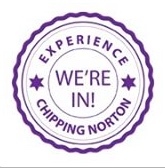 Chippy is the 19th Oxfordshire exchange to be upgraded, and the third in David Cameron’s constituency – Witney and Carterton were both upgraded last year. Fibre broadband means that families can download a movie, watch a TV replay service, surf the web and play games online all at the same time, says BT. Not bad for people living in a little “village”, eh, BT? This entry was posted in launches, news and tagged BT, Chipping Norton, David Cameron, exchange, FTTP, high speed broadband, superfast, technology, Witney. Bookmark the permalink. Which parts of the town have got high speed broadband? A check today on the Openreach website (http://www.superfast-openreach.co.uk/where-and-when/) says that the Chippy area is “accepting orders” – the first cabinets (distribution points) in the exchange in town have gone live, which means that some houses may already be able to get superfast fibre broadband already. However, the BT website told us that “BT Infinity isn’t quite ready yet” for the area, and that only the standard broadband is available! It further stated that fibre optic broadband was likely to be available in Chippy between October 2013 and March 2014. So the situation isn’t clear, and it may be that the May press release from BT was slightly premature. If anyone in Chippy DOES have superfast fibre broadband now, we’d be interested to hear from them. We’re up at the Elmsfield Industrial Estate and have BT Infinity installed and working – so it’s definitely here. My suggestion would be to call them up; far easier than trying to use their website.